Minister of Industry, Commerce, Agriculture and Fisheries, Hon. Karl Samuda (left), in conversation with Donnie Nembhard (right), a farmer at the New Forest/Duff House Agro Park, in Manchester, during his tour on July 7. At centre is Permanent Secretary in the Ministry, Donovan Stanberry. The occasion was the handover of a drip irrigation system funded by the Jamaica Social Investment Fund (JSIF) at a cost of $75 million. A major conglomerate will be investing in more than 200 acres of land for the production of hot peppers at the Hounslow Agro Park, in St. Elizabeth. The Minister said that Government is forging several partnerships for the expansion of the agricultural sector to take the lead in growing the economy. Development of the irrigation system was funded by the Jamaica Social Investment Fund (JSIF) at a cost of over $75 million. It will benefit some 690 farmers and their households, while collectively it will benefit 2,000 persons. Making the disclosure, Minister of Industry, Commerce, Agriculture and Fisheries, Hon. Karl Samuda, said the company will provide the farmers on the land with all the planting material and fertiliser. “At the end of the day, your crop will be bought at a price that you can be happy with,” the Minister told the farmers. He was delivering the keynote address at the handover of a drip irrigation system at the New Forest/Duff House Agro Park, in Manchester, on July 7. 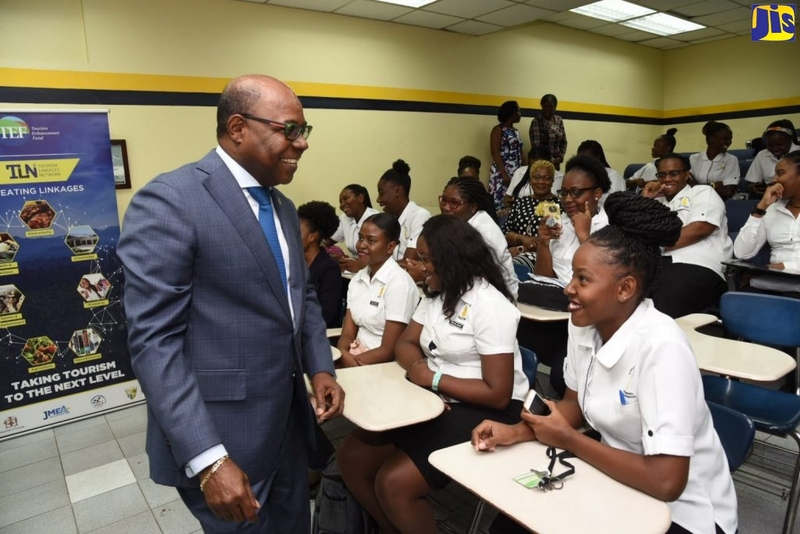 “This is the kind of partnership that is beginning to develop throughout Jamaica,” he noted, adding that it is the Government’s responsibility to help the farming community to “increase production through a regular supply of water”. For his part, Permanent Secretary in the Ministry, Donovan Stanberry, said farming is getting bigger than just producing for higglers, so farmers need to respect contractual obligations. The project is geared at contributing to domestic food security and the promotion of market-driven production through the efficient use of available water, and the application of fertigation (combination of fertiliser application and irrigation) on 500 acres of land in the beneficiary communities.